Governor Nasir El-Rufai of Kaduna State has reminded the Independent National Electoral Commission, INEC to replicate its feat at the recent Ogun State Gubernatorial election in the conduct of 2019 general elections just as governorship candidates of all the political parties in the State on Wednesday agreed to a peace pact. 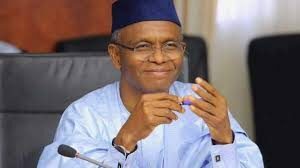 E-Rufa’i Rufai who was speaking in Kaduna, Northwest Nigeria at an event related to the 2019 General Elections said if the Independent National Electoral Commission (INEC) conducts a credible poll, there would be no violence. The event tagged: ‘Summit Towards Peaceful 2019 General Elections and organised by Kaduna State Peace Commission, the Governor said, his party is committed to peace and peaceful elections in the state. 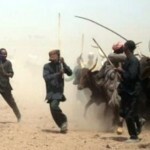 El-Rufai noted that massive rigging of elections was responsible for the post-election violence experienced in the past. According to him, “Our party is committed to peace and peaceful elections. The political parties that merged with APC were victims of rigged elections and consequential violence. It was the massive rigging of election in 2011 that led to widespread violence at that time and Kaduna state lost over 800 lives. “The election of 2015 was a game changer because everybody believed it was credible particularly in the northern part of Nigeria and southwest. To a large extent, most people believed that 2015 election were credible and that was why it was inevitable that President Jonathan had to concede and here in Kaduna state, we are also happy the governor then called me and conceded. “We just returned from Osun State for the inauguration of a Governor. I was in Osun for the first round of election and it is the most credible election I have ever seen in the world. I was not around for the second round, but the first round of election in Osun was very credible. Election materials arrived early, no incidences of destruction or violence or snatching of ballot boxes. “It is my view as candidate of APC that if INEC conducts election of 2019 with the same kind of credibility as Osun 1 election, there will be no violence at all because it is rigging that lead to violence. “I want to tell you all those that want to be governor, it is not an easy job. It is just that when I look at some of those that want to be governor and what they have done to the state in the past, I feel I have a duty to protect the state and so many people of the state from the evil of the past. “Now as a governor of the state, the biggest challenge we have as state government in Kaduna state is the likelihood of violence during campaign and election day. Most of the violence that occurred in this state were post-election violence. “Elections and campaign in Kaduna state have generally been peaceful, it is after the results are announced that we have instances of violence. 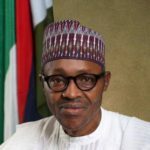 Politicians have been engaging in hate speeches and they have been encouraging others to engage on social media, incitement, malicious falsehood and religion and ethnic sentiments in politics. This is the biggest problem we are facing as a government. I appeal to all of us politicians to desist from these. “We end up destroying lives by giving young people weapons and guns for election purposes. What will they do with them after the election? They become a monster difficult to deal with. So, I want to appeal to our colleagues to listen to what Bishop Fearon said to mind our language, to avoid using improper words because politic is not war. It is just a competition. We should try not to divide our people because if we win, we still need to unite them to govern them. “If we care about our people, if we care about our state let us campaign in peace let follow the tenet of our religion. Let’s campaign on issues and achievements. May the best man or woman win. “And for us in the Kaduna state government. We are determined to bring to justice anyone that engage in hate speech in their tweet, Facebook, WhatsApp that lead to destruction of property or human being in Kaduna state. We are doing that vigorously. We don’t care what people say. “Anyone that comes to Kaduna and say something or even outside Kaduna no matter who he is whether Bishop, Imam or Sheikh. Whether he calls himself chief or Hakimi, we will bring him to justice. We are ready to bring him to Kaduna and prosecute him and we are in the trail of many of them- some in Abuja, Lagos. We will bring them to Kaduna and try them for incitement, malicious falsehood or hate speech. We are trying to do that and we are not going to politicise it because the protection of lives and properties should never be politicised.” He said. Earlier, the State Chairman of the PDP, Hassan Hyet had charged the ruling party to ensure a peaceful election saying that fairness, equity and Justice are the foundation for peaceful election.. 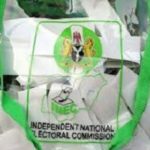 Chairmen and gubernatorial candidates of other political parties who also spoke said they were ready to play by the rules, but the ruling party must not use the instruments of the state to rig the election in its favour.